First, determine whether your patient is a good candidate for clear aligner treatment. Next, educate them on the basics, how clear aligners work, aligner wear and care, potential risks and the potential for additional fees later on. Get the informed consent and agreementsigned by the patient or parent. Take intraoral scans or PVS Impressions. Take photographs for the eight required angles. Take x-rays (they’re optional, but are a good idea). We accept either a panoramic x-ray or a full-mouth series. Fill out the prescription form online. With the recent release of Flex and Unlimited for U.S. doctors, you will be asked to choose whether you want us to limit the number of steps. Enter the patient’s existing condition. Remember to account for any potential dentition problems. Provide any additional freeform text instructions for the case. 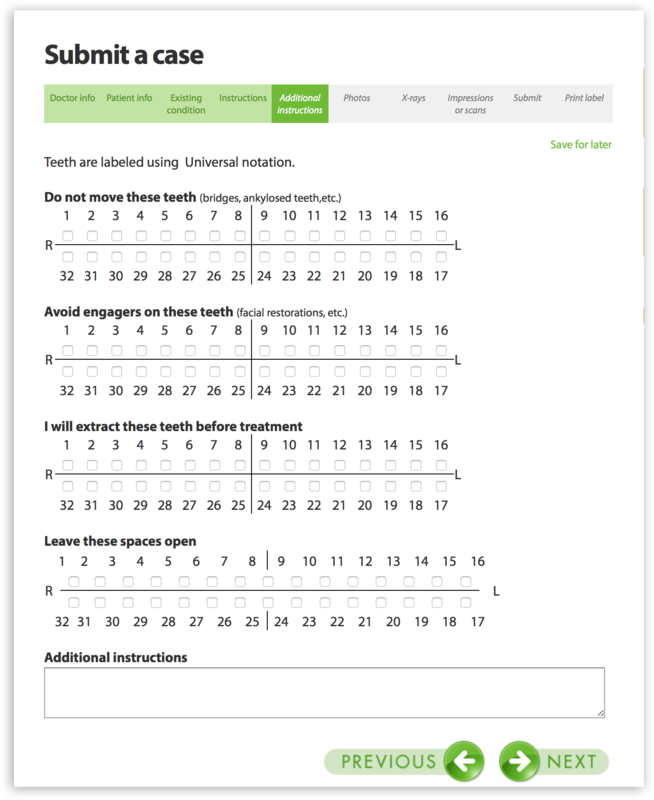 For example, you can request specific tooth movements, overcorrection, digitial power chains, etc. Upload patient photos and X-rays. Select whether you are submitting PVS impressions or intraoral scans. Tip: This works best if you submit your case online before uploading the scans through your scanner’s interface. Submit the case. You’ll be prompted to agree to ClearCorrect’s current terms and conditions and you’ll only pay the lab fee once you approve the treatment setup. Print a submission record for your files. Print a packing slip. Cut the slip in half and tape the shipping label to the outside of a box. Drop off the box at your nearest shipping location. Once we receive your submission, along with all required records, you should receive a treatment setup within a few days. 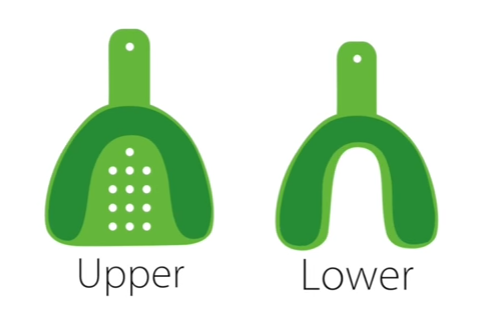 Review it, approve it, select your preferred pricing option, pay the lab fee and we’ll start making aligners. If you have any other questions on submitting cases, you can find more questions & answers here.